Congratulations! Having made the decision to have orthodontic treatment you have taken the first step towards achieving a well aligned, more pleasing, and healthier smile. Whether you will be wearing conventional braces, clear aligners, or other orthodontic appliances, the success of your treatment will depend in part on your compliance with care as well as the efforts you make to keep your teeth and braces clean and healthy. Throughout the course of treatment your orthodontist will keep you well informed as to what you can expect to feel with your appliances, the changes that you will be seeing, and provide you with specific care instructions. Always feel free to ask any questions. The doctors will readily address all of your concerns. Every orthodontic patient will experience a period of adjustment when his or her appliances are initially placed. The first few days of wearing braces typically take the most getting use to and are the most challenging. During this time you may feel a general soreness in your mouth and your teeth may be tender to biting pressures for a few days. Depending on the type of braces you have been given, it may also take a week or two for the lips, cheek, and tongue to get accustom to the presence of the appliances. It is important that you keep in mind that these sensations will pass. To help you cope with this initial short-term discomfort your orthodontist will recommend a number of remedies and tips. These techniques can also be utilized during any brief “achy” episodes that may follow a future adjustment visit. If you are wearing conventional braces, a supply of orthodontic wax and instructions as to how to apply it to a wire or a brace that has become irritating, will be provided. While wearing braces you will need to be more careful about what you are eating as well as more diligent in keeping your teeth and appliances clean. Eating certain foods (especially hard, sticky, crunchy, or tough foods) and certain oral habits (like chewing ice, biting pens, or nail biting) can be very damaging to braces. Risky behavior and frequent appliance breakage can significantly prolong your treatment and possibly compromise the result. Although, there may be some foods to avoid during treatment, there are still many delicious and satisfying things that you can eat. You must remember, the important thing is to maintain a healthy and well-balanced diet. Here is a diagram of everything that will be in your mouth for the next couple of years. It is important to learn a few basics so that if something does break or come loose, you can tell us what it is. Some things can wait, and some can’t. If you know exactly what it is that’s broken or loose, we can tell you if you need to come in right away or not. Simply stated, spacers create space. Eventually, you will have a couple of bands around your back teeth, and right now, there is probably no room to put those bands. Spacers are little rubber bands that separate those back teeth from the rest of your teeth just enough to place a band around them. You may be getting spacers today, or you may be getting them next time you come in. They may be a little uncomfortable, but taking ibuprofen or some kind of pain reliever either before the appointment or as soon as possible afterward should help. When and if the doctors tell you to wear your rubber bands, just wear them! Why? 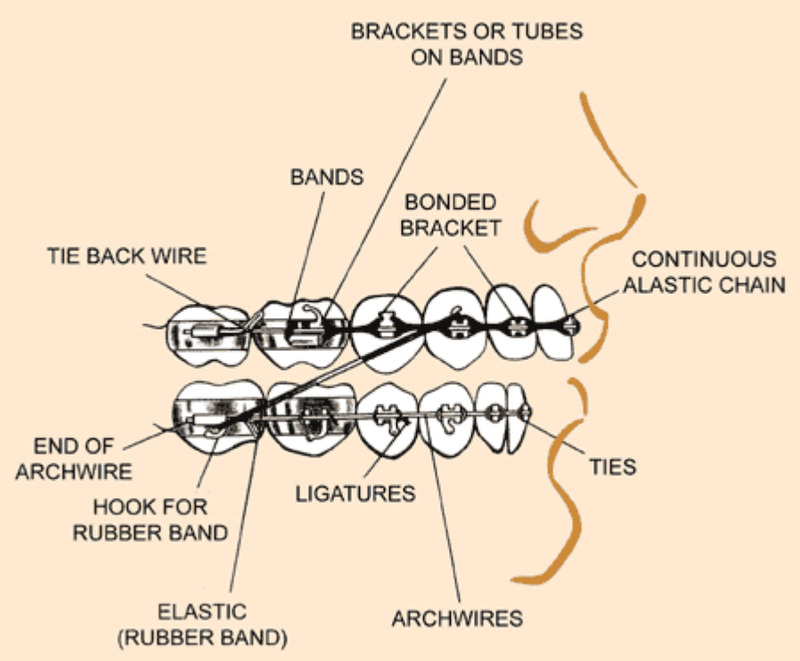 First, if you don’t wear them, you are going to be “stuck” in braces for much longer than you would normally be. Second, the doctors are going to know! They can tell if you’ve been wearing them, no matter what you might try to tell him. Rubber bands are a GOOD SIGN! They mean you are getting closer to the end of your treatment, so don’t stop now! Keeping your teeth, gums, and orthodontic appliances clean over the course of care is of the utmost importance. Food and plaque are easily trapped in the tiny spaces between your braces as well as underneath removable appliances or aligners. In the absence of good oral hygiene your teeth can become decayed or permanently stained, and your gums can become irritated and inflamed. There is also a greater risk of developing a dental infection. Brushing after every meal, and flossing at least once a day, is the best way to insure that your teeth and gums remain healthy throughout treatment. It is also recommended that you brush your teeth after eating snacks. However, if you don’t have a toothbrush on hand at this time, you can clean your mouth by rinsing vigorously with water. You may consider adding other useful items like a floss threader, a small interdental toothbrush (proxabrush), or an oral irrigator (water pick) to assist you in keeping your appliances, as well as all of the small spaces around your braces, clean. 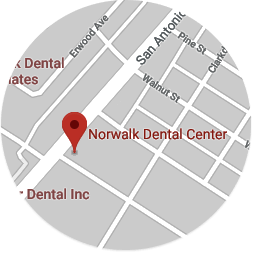 Make sure to see your general dentist regularly for routine care and to have a thorough dental cleaning. 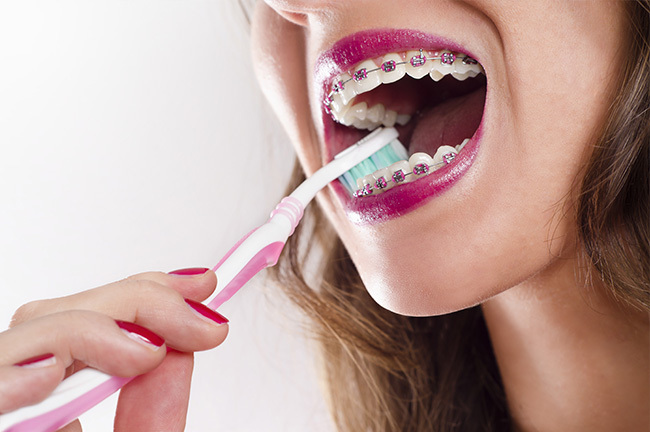 Beyond watching the foods that you eat and maintaining good oral hygiene, it is extremely important to wear your appliances, or any other orthodontic accessories, exactly as directed. Faithfully wearing your removable appliances, aligners, headgear, and/or elastics as instructed promotes efficient tooth movement and bite correction. You should also contact your orthodontist when an appliance breaks, or if a wire or any part of your braces is irritating your mouth. If you miss a lot of appointments, guess what? You will be in braces longer than you have to be! Also, if you miss appointments without calling us to let us know, you may end up getting charged for these. It is very important that the doctors see you on a regular scheduled basis. If not properly monitored, braces can cause problems that can possibly cause you to have braces longer than expected. It is very important to do what the doctors and the staff tells you to do. Following their instructions will allow you to keep your treatment time on schedule. Not doing what you are asked to do will extend your treatment time. You will be in braces longer if you do not follow directions. Take extra precaution when eating fruits with pits as you could accidentally bite into the pit. This would include fruits like peaches and plus. Cut meat off of the bone to ensure you won’t accidentally bite into the bone. Next, there are things you MUST AVOID with braces! All treatment times that we have talked about are only estimates. Everyone is different, and everyone’s teeth move at different rates. Your teeth will “look done” to you long before they really are. The part of the tooth that you see moves faster than the root, which you don’t see. If you take the braces off before the root has moved, guess what? The tooth will move right back to where the root wants it. Remember that the doctors are trained to see many things about our teeth that the rest of us do not. They will not keep you in braces any longer than they have to, but at the same time, they don’t want to let you out of them before you are totally done. They take your teeth seriously! Finally, taking care to protect your braces from damage and your mouth from injury is extremely important. Wearing a mouthguard while participating in sports is a good way to safeguard your appliances and smile. You must wear a mouthguard that has been specially designed to fit over braces. Your doctors can guide you in selecting the best one. Achieving the best orthodontic outcome depends on teamwork. Remember, a healthy and beautiful smile that will last a lifetime is well worth the effort. If you have any questions or concerns, please call our office (562) 863-4110.